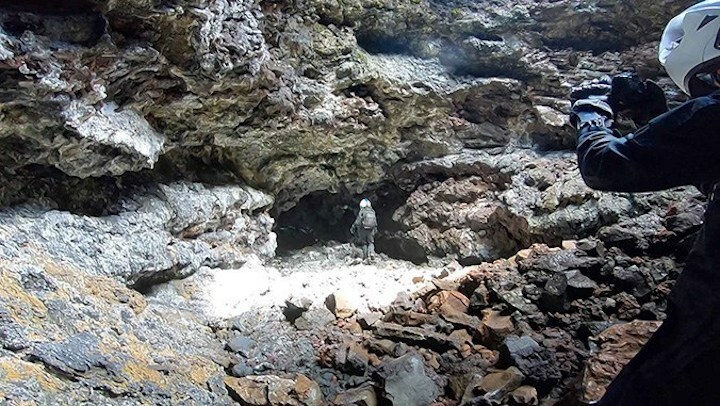 The six-member crew at the University of Hawaiʻiat Mānoa’s Hawaiʻi Space Exploration Analog and Simulation (HI-SEAS) habitat on the slopes of Mauna Loa on Hawaiʻi Island has been hard at work with geological and drone surveys, lava tube exploration and space technology testing. They have been cooking with shelf stable ingredients and passing some of their free time playing cards. They are also performing a research experiment designed by high school students in Slovakia who won a Mission to Mars competition last year organized by HI-SEAS and International Moonbase Alliance (IMA) chief investigator Michaela Musilova. The mission is under the EuroMoonMars initiative, led by the International Lunar Exploration Working Group of ESA in collaboration with the IMA, European Space Research and Technology Centre, Vrije Universiteit (VU) Amsterdam and HI-SEAS. It is part of a series of projects led by IMA, which is planning on building a base on the Moon and a prototype moonbase on Hawaiʻi Island. The crew entered the habitat on February 20, 2019. The current mission is scheduled to end on Wednesday, March 6, 2019, at noon. Media interested in covering the crew exit should contact Michaela Musilova, chief investigator, HI-SEAS, musilova@moonbasealliance.com or Amy Higa at (808) 536-2729, (808) 386-6790 or ahiga@iq360inc.com.